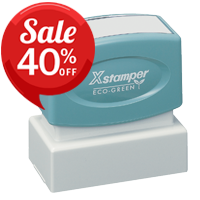 stamps, notary rubber stamps, event hand stamps, stock message stamps, traditional wood handle stamps and more! for your needs. We have every major manufacturer and type of rubber stamp represented in easy-to-use categories below. please email, call us toll free at 800-469-7826 or click on our Live Chat option. We always respond fast! What's the difference between self-inking and pre-inked stamps? and you'll find them at the best rubber stamp prices and fastest turnaround times in America!